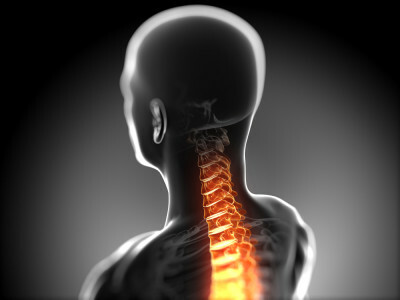 Starkwood Chiropractic is a Portland-based chiropractic clinic that excels in providing spinal adjustments, soft tissue therapy, and a number of other helpful health-related services. We use various physical modalities to treat many painful injuries, including injuries sustained in the workplace or in an automobile accident. Without using drugs, we can quickly and gently relieve pain from spinal misalignment, soft tissue damage, or any similar ailment. Whether your back pain stems from an auto accident or from having bad posture, our dedicated chiropractors will customize a treatment plan to fit your lifestyle and budget. Auto accidents and other traumatic collisions can cause your spine to become misaligned, which could severely damage the surrounding muscles and ligaments. We can use heat to relax tight or contracted muscles and stimulate blood flow to the area. When the muscles are relaxed and loose, it makes chiropractic adjustments much easier and more effective, which makes the process less painful. Additionally, if your muscles are inflamed or swollen, we can use cold treatment to reduce that inflammation and swelling. If you have been injured in an auto accident or a sporting event, we have the skills to rehabilitate damaged muscles. Unlike other chiropractic clinics, we work closely with your other physicians to ensure the best possible treatment designed specifically for you. In rare cases, chiropractic adjustments can actually aggravate an injury, so it is important to talk to your doctor before you have an adjustment. By working with your physician, we can develop a collaborative treatment plan that can lead to a full recovery. Our skillful and dedicated chiropractic doctors show each patient the attention and respect that they deserve. We are proud to provide our patients with the best general chiropractic care Portland has to offer. Contact us for a free consultation or schedule an appointment today.